With Season 6 of Fortnite officially behind us, it’s time to look forward to what’s around the corner, and for fans, that’s the wintery theme of Fortnite Season 7. 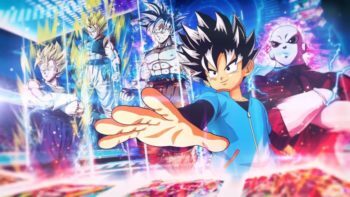 Of course, as has been the case with previous seasons, Season 7 has brought new sets of weekly challenges, a new Battle Pass teeming with cosmetic items for players to unlock, and a number of new named locales. 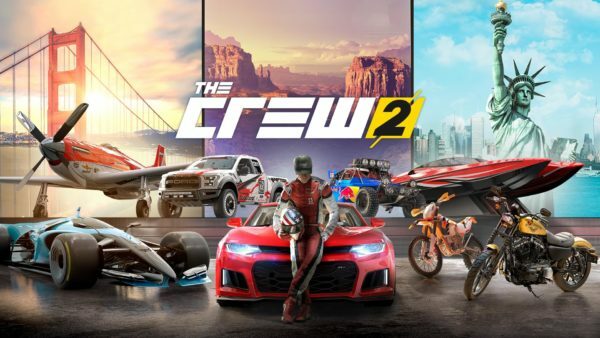 To earn all those cosmetic items in the Battle Pass, you’re going to want to know how to complete all the newly introduced challenges. Here are all Season 7 challenges in Fortnite, from the week 1 challenges, through to the Lynx, Zenith and Snowfall challenge sets. 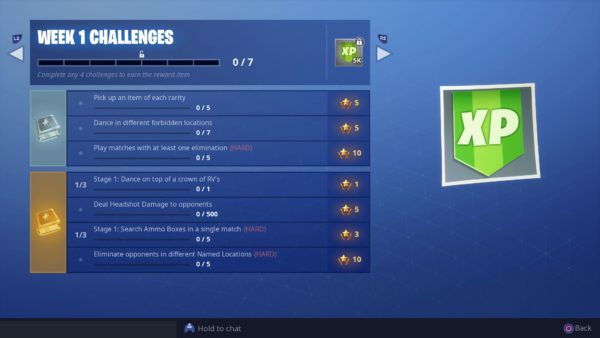 As we saw with Season 6, Fortnite Season 7 has two additional sets of challenges alongside the week 1 challenges. 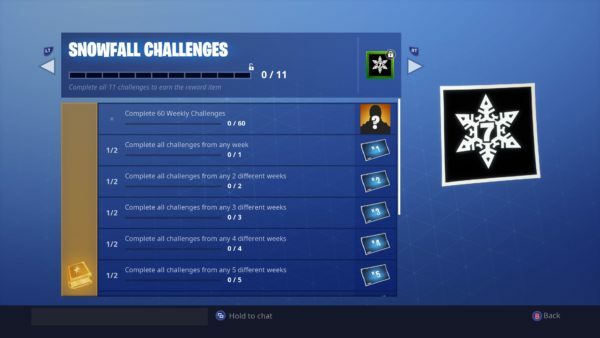 The Snowfall challenges will unlock a new skin after completing 60 of the weekly challenges rather than the seven sets we’ve had to do in the past. Meanwhile Zenith and Lynx unlock new variations of their respective skins for earning set amounts of XP. All of this is available to you once you unlock the new Battle Pass, so we’ve included those a little further down the page. Stage 1: Complete all challenges from any week. Stage 1: Complete all challenges from any 2 different weeks. Stage 1: Complete all challenges from any 3 different weeks. 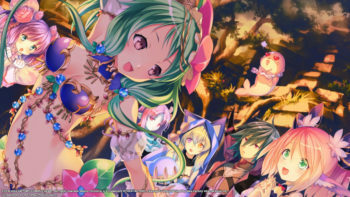 Stage 1: Complete all challenges from any 4 different weeks. Stage 1: Complete all challenges from any 5 different weeks. Stage 1: Complete all challenges from any 6 different weeks. 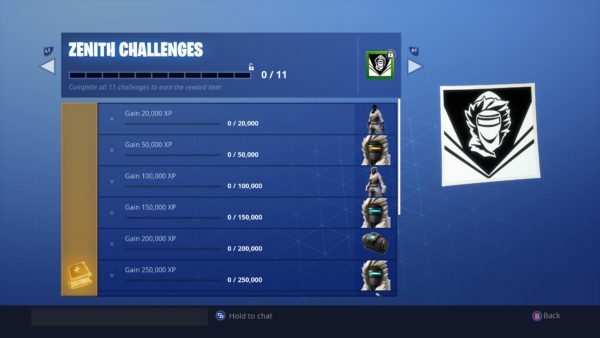 Stage 1: Complete all challenges from any 7 different weeks. Stage 1: Complete all challenges from any 8 different weeks. Stage 1: Complete all challenges from any 9 different weeks. Stage 1: Complete all challenges from any 10 different weeks. 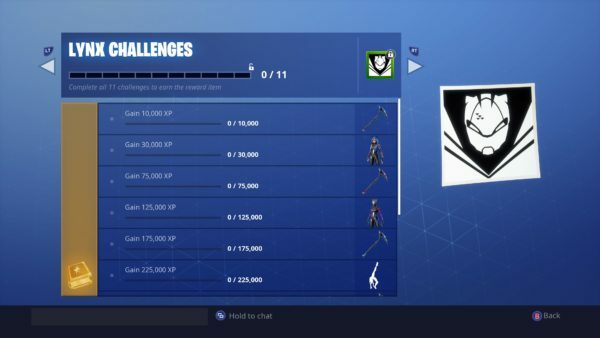 That’s all you need to know for all of the Season 7 challenges in Fortnite. 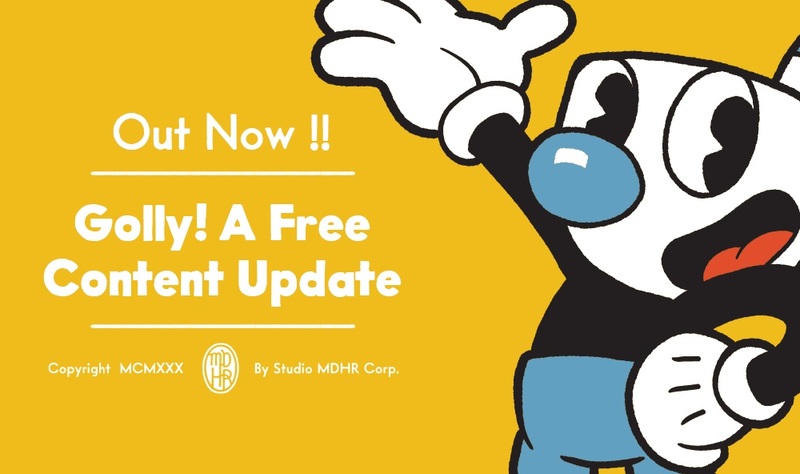 We’ll continue to update this post with each set of weekly challenges as they arrive, so be sure to check back soon. For more tips, tricks, and guides to help guide you through the winter season of the battle royale epic, be sure to check out our ever-expanding Fortnite Season 7 guide wiki.